Obituary – Luthye, Earl Stewart « Perry High School Alumni Association, Inc.
Earl Stewart Luthye, 85, native of Perry and long-time garage owner, died at 11:10 p.m. Saturday, Nov. 27, 1993, at Stillwater Medical Center. Funeral will be at 10 a.m. Tuesday at the First Church of the Nazarene in Perry. Rev. Steve V. Smith, the church pastor, will officiate. Burial will be at Grace Hill cemetery under direction of Brown Funeral home. Memorials have been established to benefit Kimberly Quality Care or the Church of the Nazarene. Luthye was born March 2, 1908, east of Perry, the son of Louis and Elizabeth Luthye. 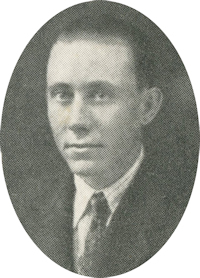 He attended school at Windy Center, near the Sumner community, and graduated from Perry high school in 1928. 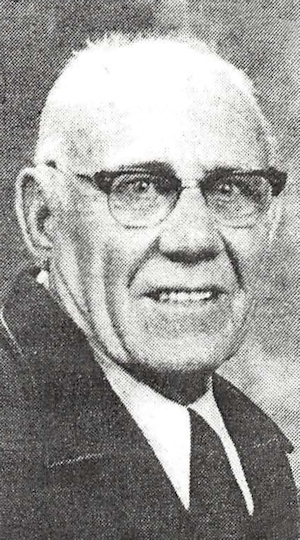 He worked at Ripley and Mulhall as a telegraph operator for the Santa Fe railroad and later managed a service station for Phillips 66 in the 1930s. He then became an employee of the state highway department. Luthye served with the Army National Guard during World War II and was stationed at Fort Sill. In 1948, he opened a garage in partnership with his brother, Louie. In 1956, Louie Luthye moved to Colorado and Earl Luthye continued in the garage business until his retirement in 1974. Luthye and Mildred A, Wilson were married at Enid on July 15, 1939. They established a home at 1020 Grove street in Perry where they continued to reside throughout their married life. Survivors include his wife, of the home; three sons and one daughter, David Earl, John Louie, Jimmie Paul and Elizabeth Payne, all of Perry; one brother, Louie Luthye, Cedaredge, Colo.; and nine grandchildren. He was preceded in death by his parents, step-father and one daughter.